The amazing charity Kicks Count has shared this image on Twitter this evening. This sums up exactly how I’m feeling this evening. I don’t want L to be scared of big cities like London. I lived in London for most of my pregnancy; the first time I saw L on a scan was at Chelsea & Westminster hospital, a teeny flickering little heartbeat. I’d already decided that L needs to be immersed in London life. It is the best place in the world. It isn’t the best place for me to raise my child, but my heart will always be in London. So at nearly 10 months old, L has already visited London four times. We’ve walked around Parliament Square, up Whitehall and into Soho. I’ve stopped in the street and attempted to show L the sights of Big Ben. 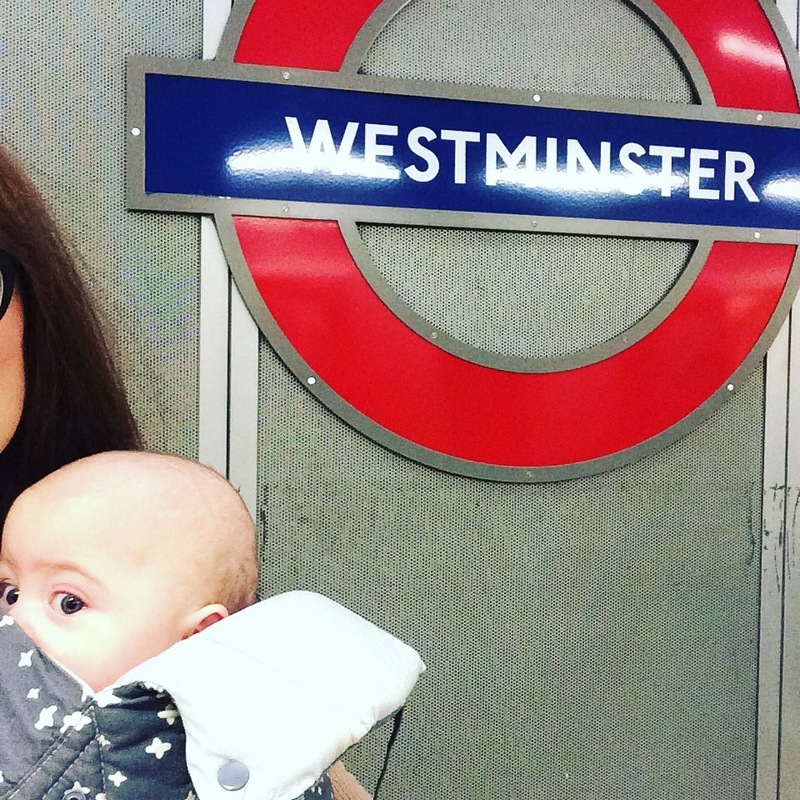 I’ve struggled onto the tube at Westminster, managing to navigate the buggy and baggage (and baby!) safely onto the platform. And yes, we’ve walked along Westminster Bridge too. We will do it all again, soon. 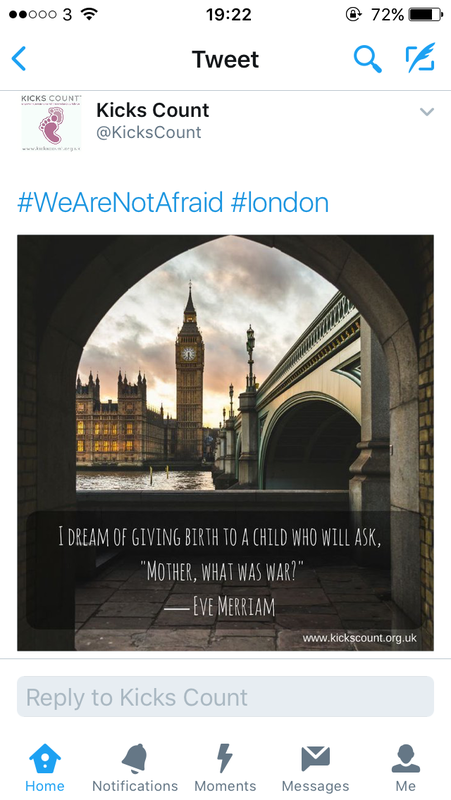 I am spooked but my baby will not be scared of London. He will grow up loving London as much as I do. Like Single, Pregnant & Preemie? Follow us on Twitter and like our Facebook page for regular updates.